NCC suspends COSON’s operating licence – Royal Times of Nigeria. 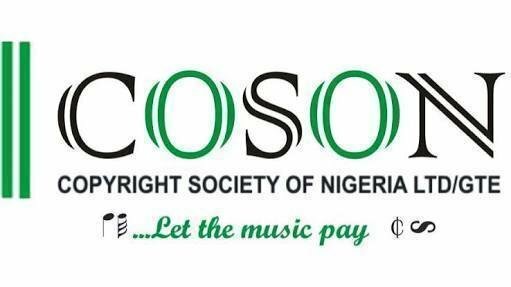 The Nigerian Copyright Commission (NCC), the government agency empowered by law to oversee the affairs of COSON and other agencies under the parastatal has suspended the operating license of COSON, stopping it from collecting royalties on-behalf of and for musicians and other performing artists in Nigeria. This comes after a petition written by 2face Idibia to the commission to wade into the crisis at COSON that’s lingered on for months between its chairman Tony Okoroji and Efe Omorogbe. COSON in its response to the NCC Directive swiftly filed a new process at the Court of Appeal, Lagos Division challenging the content of the letters from the Nigerian Copyright Commission suspending the copyright licensing activities of the society. In a letter dated May 3, 2018 to the NCC Director-General, Mr. Afam Ezekude, the COSON lawyers stated that the development at the Court of Appeal lawfully apprehends the NCC directives suspending the licence of COSCON to operate as a royalty collecting organization.